For the first time PESSTO have discovered a supernova of their own! The supernova was discovered in UBVRI EFOSC imaging taken of galaxy ESO-154-G010, the host of the previous supernova SN2013fc, on the 16th November 2014. 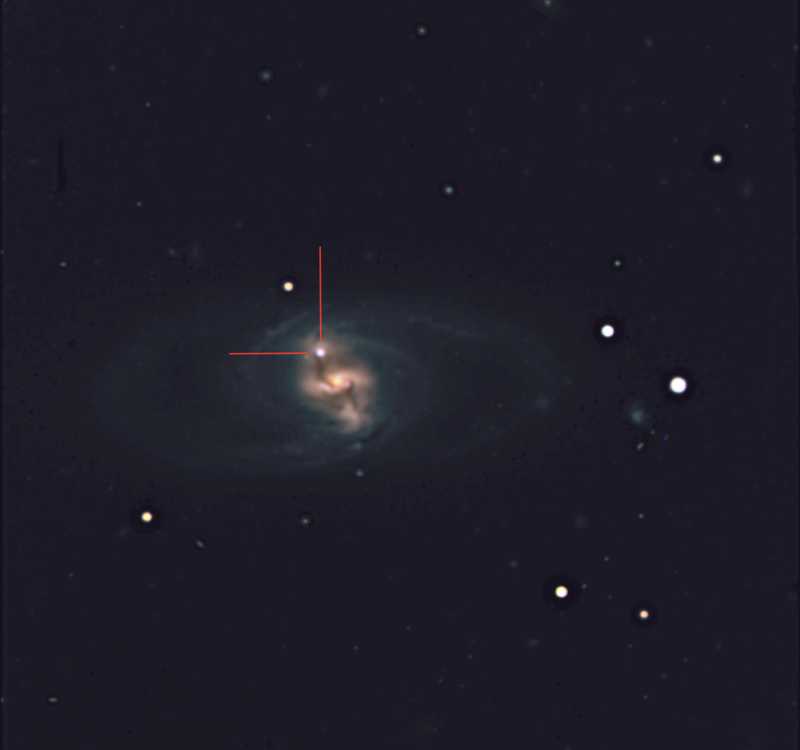 Tuomas Kangas (University of Turku) spotted the new transient while taking images for the PESSTO campaign on SN2013fc. The supernova is identified in the composite VRI colour-image below by the red cross-hairs and has been reported Kangas et al. ATel 6711. We took a spectrum at the first available opportunity on 22nd November 2014 and classified it as a young SN Ia at -7d before maximum light, similar to the 1991T-like explosions Smith et al. ATel 6739 . This is an excellent opportunity to study a young, peculiar SN from before maximum light to the nebular phase and PESSTO will follow this as a key science target. The PESSTO discovery on 16th November was hence -15d before maximum light and likely within a few days of explosion. It has been submitted to the IAU’s Central Bureau for a name designation.